WE IRISH PRIDE ourselves on being an island saturated with redheads. 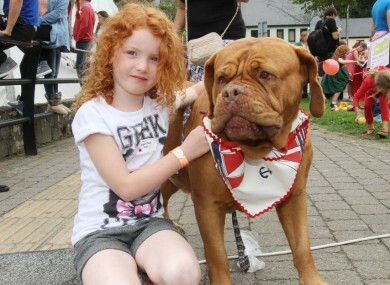 This past weekend, a Redhead Convention took place in Crosshaven, with over 2,000 proud gingers gathering together for a weekend of ginger related craic. Jack Daly from Cork and Sarah Mullins from Tralee were crowned the King and Queen of the Redheads, while the furthest travelled redhead went to Gemma Storar from New Zealand. The Reaps took home the coveted title of the largest Redhead family, bringing 3 carloads to the event all the way from Mayo. Unfortunately, not everyone is as accepting of gingers. Some people are downright mean. Like these people for example. 3. Whoever is scaring these girls. NICE TRY. Hey, who doesn’t like potatoes? Whatever, no skin off your freckly nose. Brunettes, blondes… where’s their convention? Email “10 people who are giving redheads a hard time”. Feedback on “10 people who are giving redheads a hard time”.